The Federal government wants to pay four from the phase-out of lignite-affected Federal States of money. The SPD is not enough. She also wants to promote the coal regions. Actually, the Federal government wanted to deliver at the end of April. Union and the SPD wanted to submit a so-called "structural strengthening law". The content of coarse, a distribution of said plan. Who gets how much money, the hardening of the brown coal phase-out cushion? However, from the April date. Now, why is also clear. It could be quite a conflict within the Federal government. It's about money for the German coal regions. You should not, so far, benefit of the promotion: € 40 billion in 20 years. The Federal government wants to help the States affected by the phase-out of lignite directly. This has been the Plan. Would benefit the countries of Saxony, Brandenburg, Saxony-Anhalt and is the only West German state of North Rhine-Westphalia. to be distributed As the means of the draft key issues paper for the "structure strengthening law". Brandenburg will get 25.8 percent of the money, North Rhine-Westphalia, 37 percent, of Saxony, 25.2 percent and Saxony-Anhalt twelve percent. in Contrast, resistance in the SPD's upset now. 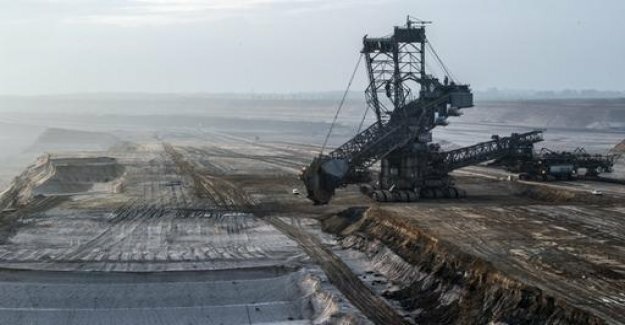 In the government's internal vote on the vertices want to use the SPD-led Federal ministries, according to information from the ARD capital studios, in addition to the brown coal, the coal regions, already now, be encouraged. It deals specifically with coal-fired power plant locations in structurally weak regions. Where these significant relevance for the value creation in the Region, wants to take you on an equal footing in the law. Of counties in lower Saxony and the Saarland, North Rhine could benefit-Westphalia could get extra money. Previously, these regions should be taken into account only in a later act extra. 't worry, "to fall under the table"
This offer of Federal Minister Peter Altmaier (CDU), the SPD Ministers, but it seems to vague. From SPD circles, it is said, in the affected municipalities, the concern of the "under the table waxes to fall". The Saarland Minister of economic Affairs Anke Rehlinger (SPD), recently told the Reuters news Agency that there is no plausible reason to separate the Structural support for brown coal of the coal. This view includes now, apparently, the SPD-led part of the Federal government. The conflict should be resolved, could the law in may to the Cabinet.